For a start up or small business finding the right location for your office space can make all the difference in your company operations. The right location assists in shaping its culture, identity and, depending on the industry, it's client base. Most of us tend to think in terms of office buildings when we think of commercial real estate, but the neighborhood and tenant mix surrounding a start up or small business can end up being even more important than the space itself. 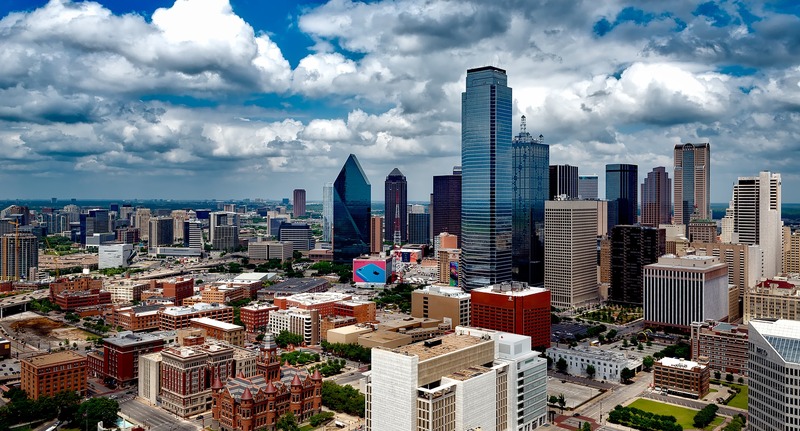 Uptown: If you are familiar with Dallas, you have most likely noticed the growth of Uptown. The area is a great example of the growing idea of new urbanism with significant multifamily, retail and office space development over the last ten years. Aside from abundant culture and residential growth, it is also the most action packed area of Dallas for small businesses and startups. Co-working properties, like WeWork and Spaces, have made the area home offering vibrant hubs for businesses to meet and office together. LBJ: Located along I-635, LBJ is a more traditional, less centralized market than than other commercial real estate submarkets in Dallas; however, it boasts lower office rental rates, more options due to vacancy rates being higher, and better accessibility. Although the prices are typically more affordable, the completion of the LBJ Express is bringing back rising tenant rates. Whether you have 1 employee or 100 employees, a property in the LBJ market can accommodate your needs - especially if you need a lot of parking! Plano: To some, the inner core of Dallas can be overwhelming. Plano, a northern suburb, is a great alternative to its parent city. With an ever expanding population and the new Toyota headquarters, Plano has become a popular destination for small business looking to grow and remain close to home. With constant new development, Plano has a wide variety of options. Irving: A neighbor of Dallas to the West, Irving is a safe bet for your small business. The city’s affordable rates allow local industries to headquarter in its thriving economy, while still maintaining financial freedom. Like Plano, Irving is growing rapidly and will see great impact from the completion of KDC’s $1.5 billion mixed use development. Preston Center: Positioned just north of the Park Cities, Preston Center is a pricier option than many suburban areas; however, its location is thought to be the best in Dallas by many. Due to the prominent tenant mix and central location Preston Center’s requires higher rental rates but immediate convenience to some of Dallas’ best restaurants and retail make that this area a great location for the busy entrepreneur. Every business is different so be sure to browse the market and get advice from an experienced commercial real estate professional.